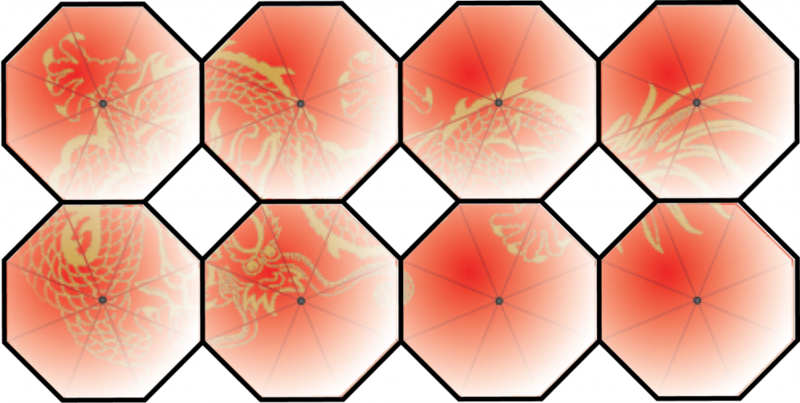 Using 8 sided umbrellas and drawing from the Chinese zodiac, a colorful image is painted as a base layer on all the umbrellas. The design is then covered using a special water-reactive white ink created by SquidLondon. When rained upon, the white ink changes color, highlighting the imprinted zodiac animal (in this case a Chinese dragon is pictured). 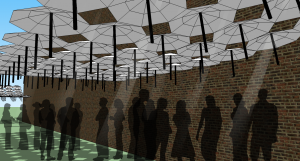 Coupled with suspension cables, halogen spot lights and small rotary motors; the project is intended to be pieced together in a way that can easily be dismantled after the celebration and does not harm the fabric of Seattle’s historic alley system. The alley becomes an attractive place, not only for commuters, but for side street dining. Lights are integrated into the suspension system so that citizens can enjoy the alley even at night. 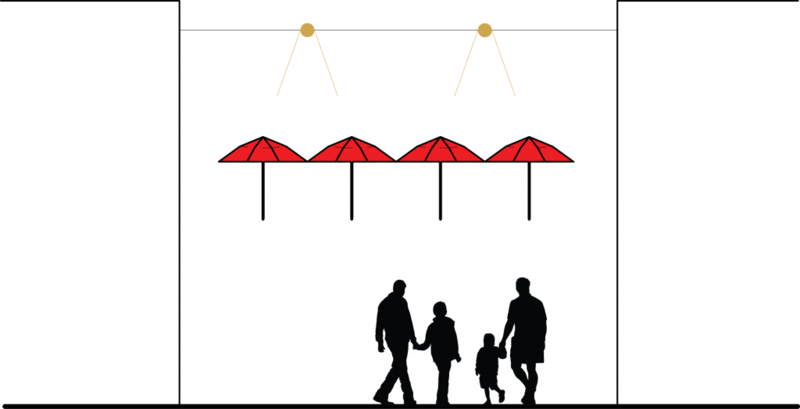 Attached to each umbrella is a thin wire connected to a rotary motor. 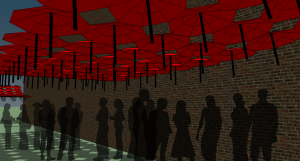 Throughout the day, the solar powered motors spool up, flexing the umbrellas to make waves of movement. 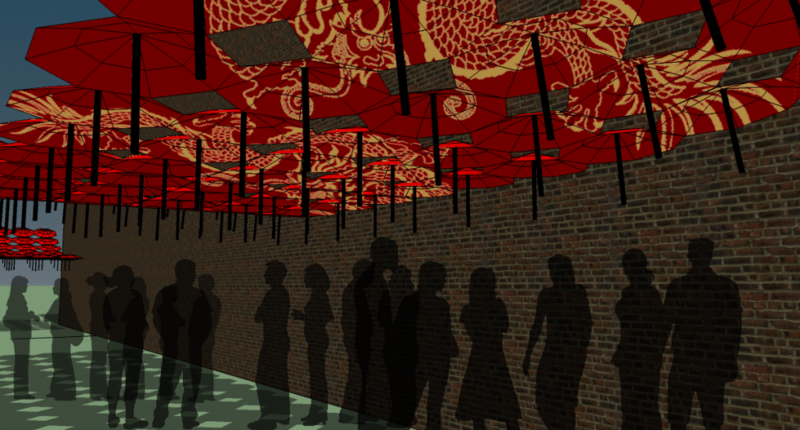 Above is a time lapse representation of what the umbrellas would look like without rain. After soaking for some time, the base layer shows through, only returning to the natural white once it has dried. Posted in Competitions and tagged 2010, Architecture, Imprinting Time on Architecture, Seattle Washington, SquidLondon, umbrella, Vignette Design. Bookmark the permalink. RSS feed for this post. Comments are closed, but you can leave a trackback.